Seven years ago, FireLake Bowling Center began offering its facility, food and equipment as an in-kind donation for the Big Brothers Big Sisters of Shawnee’s annual fundraising event, Bowl for Kids’ Sake. Since partnering, Bowl for Kids’ Sake has raised nearly $250,000. Every dollar raised aids the organization’s charge to match local volunteer mentors and at-risk youth, making long-lasting, positive changes. “It’s amazing because we have minimal fundraising costs, so every single dollar is put right back into our program here in Shawnee,” said Big Brothers Big Sisters of Oklahoma Regional Area Director Blossom Crews. 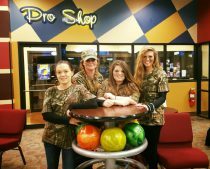 The Turkey Hunters from First National Bank take a break from raising funds for Shawnee’s Bowl for Kids’ Sake. People across the community form teams, and each team must raise money to participate. In addition to the in-kind donation, FireLake Bowling Center also coordinates the participation of Professional Bowlers Association members, which makes this Bowl for Kids’ Sake event unique in Oklahoma. 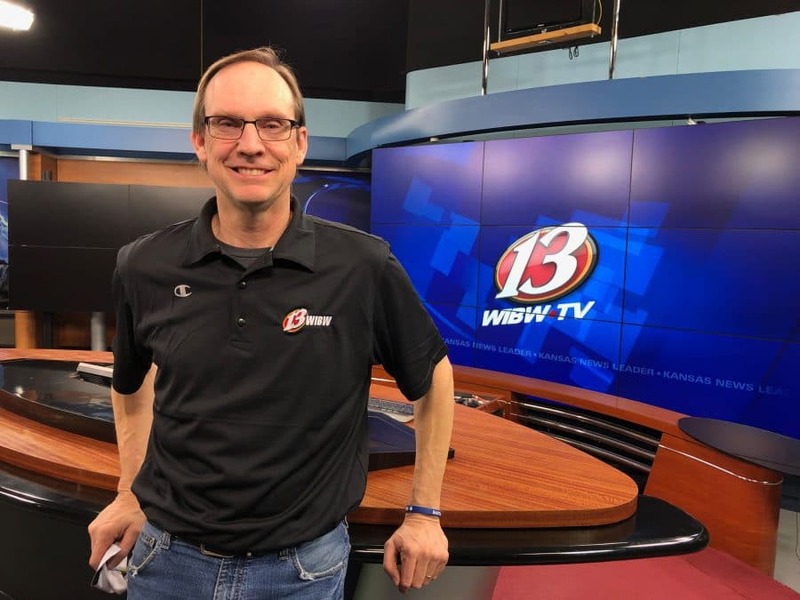 “The pro bowlers and interacting with them also adds to the fun of the night because they’re usually very encouraging and very positive, even though they’re winning by a long stride,” said BBBSOK Program Specialist Leslie Nungester. The teams also have a chance to bid on a pro bowler to join them during the competition and can win trophies in categories including civic, banking, emergency personnel and more. Individuals receive awards for first, second, third, fourth, fifth and last place. “I’ve seen, over the years, the impact — just one child at a time,” said Denoda Martin, BBBSOK Shawnee resource board member. She began serving on the BBBSOK Shawnee resource board eight years ago, seven of which she has chaired the organization’s annual fundraising event. Totals raised through Bowl for Kids’ Sake fund background checks every three years on each volunteer, along with community outreach and detailed oversight of each Big-Little placement, which averages $1,650 per match per year. Additionally, a BBBSOK staff member checks in with the Big and Little monthly during the first year and bimonthly the following years. The event also serves as a chance to recruit potential Big brothers and Big sisters. At any given time, Shawnee has at least 10 children needing mentors, and its goal for 2018 is to serve 55 youth. Volunteers can participate in the school-based program, which is during the school year, or the community-based program, which is year-round. “Sometimes (the school-based program) can be helping with homework, but usually it’s just playing on the playground, playing board games, playing catch, coloring … whatever that positive hour looks like one time a week,” Nungester said. While many volunteer during their lunch, they can schedule an hour with their Littles anytime between 8 a.m. and 5 p.m. during the school year. Staff emphasized the importance of volunteers and Littles building trusting relationships through one-on-one time, and right now, the organization is looking for both men and women volunteers to serve as Bigs. However, the organization stressed their need for male participation. “We have a huge need for male mentors because we have a lot of Little boys on the waiting list,” Martin said. Couples interested in volunteering can help fill this need by serving as a Big couple. Nungester said matching a Big and Little can take from two weeks to a month. Each Big submits to a background check and provides a list of references, then BBBSOK staff conducts an interview to help find the best placement for the volunteer and the child. Success stories abound. BBBSOK staff often hear that once a Little starts the program, they gain a more positive outlook on school and a better sense of the future. BBBS of Shawnee staff and board members said they are thankful for the relationship with FireLake Bowling Center and the impact made in local children’s lives through FireLake and CPN’s generosity. Visit bbbsok.org/shawnee for more information.